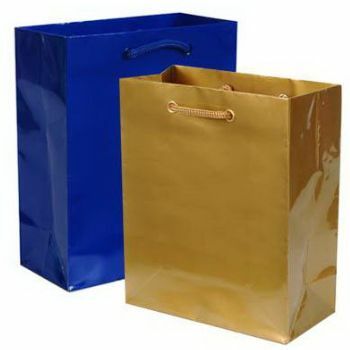 Let your brand get carried away with your customers! 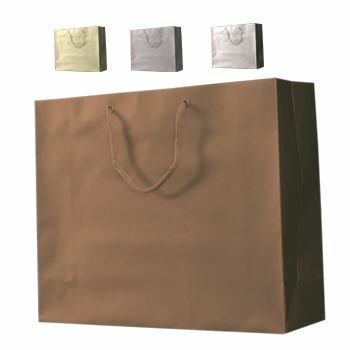 This tan Kraft tote bag features a unique pinstriped groove texture. 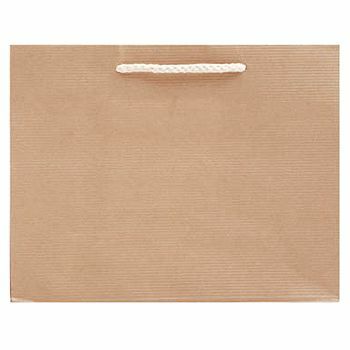 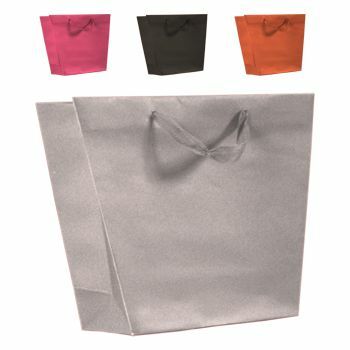 Designed with four-knot natural cotton handles as well as top and bottom board inserts for extra durability. 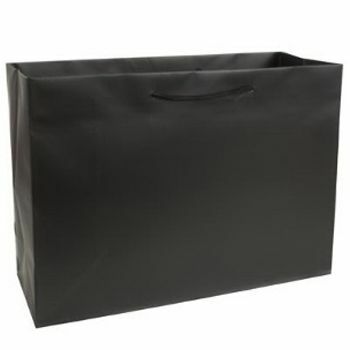 This classic bag is ideal for boutiques and department stores of all kinds. 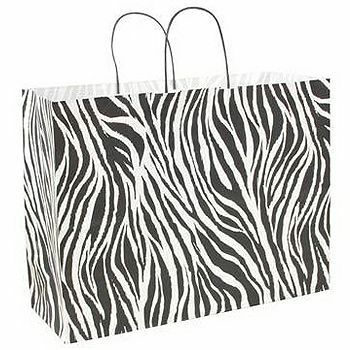 Transform these tote bags into an eye-catching presentation by customizing them with your company name and logo.